MASTER TOP END KIT WITH HEAD BOLTS FOR SBC CHEVY ALUMINUM OR CAST IRON HEADS. Felpro 1003 head gaskets and Felpro 1205 intake gaskets included. This kit is suitable for many brands of cylinder heads especially those running the Edelbrock EPS intake. If you are running intakes other than the EPS intake and have purchased our NKB heads, then you will want the kit with the 1206 intake gaskets in it. The pic below is a file photo. The pic above is a file photo. 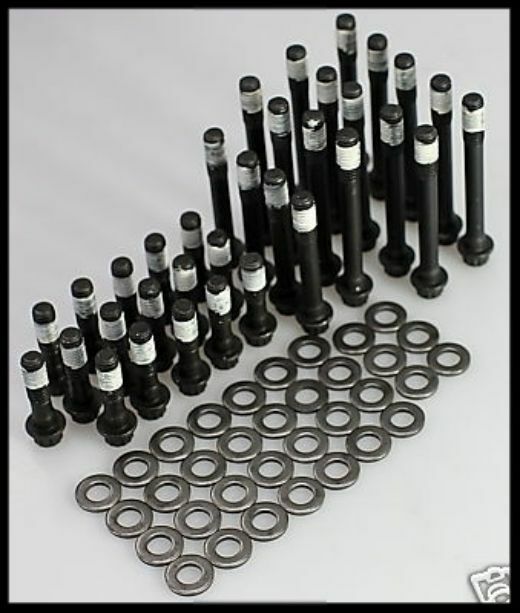 34 PIECE SBC CHEVY EXTENDED REACH HEAD BOLT SET. SPECIAL WASHERS INCLUDED. Head bolt set with washers included. The washers are 100 thousandths thick. Remember to install the washers with the flat side down against the cylinder head. The head bolts have an extended reach to compensate for the washer thickness. It is recommended using a thread sealant on all head bolts that enter the water jacket. 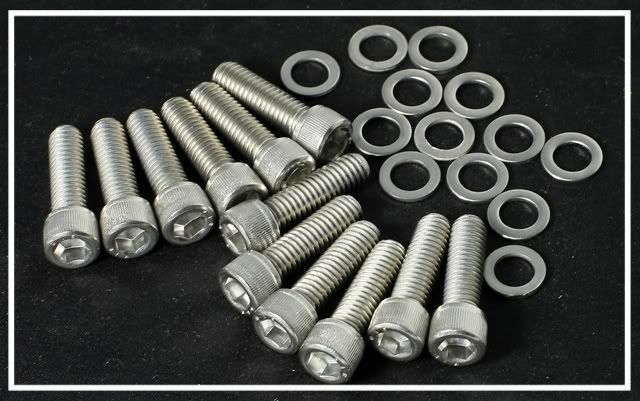 One of the most important benefits of the special style head bolt washers are that they distribute the pressure on the cylinder head, and provide a glide surface for the built in washer on the head bolt. This allows for much greater accuracy when torquing the head bolts. Those with aluminum heads must use the special style head bolt washers for two very important reasons. The aluminum surface tends to drag and gald against the head bolt, causing inaccurate torque readings. The other well established benefit for the use of these washers is the fact that aluminum heads are known to crack in the center area of the head directly under the head bolt. This area has been compromised due to the port location. When the aluminum heads are cast, it is difficult for manufacturers to keep the integrity of these areas consistent. The washers positively reduce cracking the cylinder head in this area. Those wanting to run just the special washers with conventional length head bolts will not be able to do this due to the thickness of the washers, as the standard head bolt length have a very limited reach. We strive to keep our prices low, and due to the high volume that we purchase, this allows us to have the best price in the country. Many garages will buy several sets at a time just to have them if the need arises. Our shipping prices are usually the lowest you will find. THIS IS THE CORRECT KIT FOR DART SHP 200 HEADS WITHOUT STEAM HOLES. FOR THOSE RUNNING AN ENGINE WITH STEAM HOLES. Correct length high grade 18/8 stainless allen head intake bolts are included. 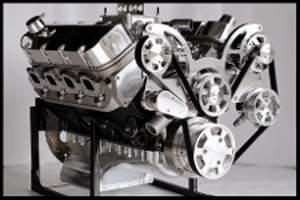 1.25 length allows the use of any and all brands of aluminum intake manifolds. We do offer this in many different versions. This kit has the Felpro 1003 head gaskets. The head gaskets are premium race grade quality. If you're not sure what type is most suitable for your application, please give our tech. support dept. a call. Please read this complete ad before purchasing. 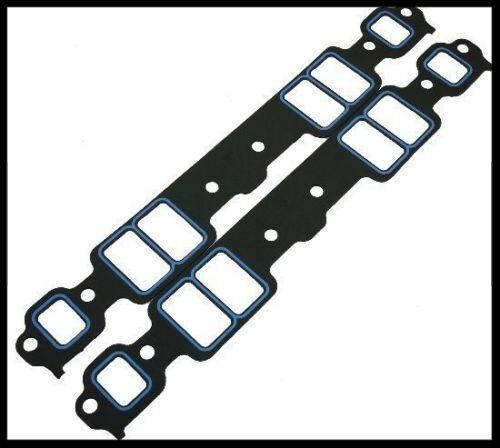 For those that favor the MLS type head gaskets, see our other listings. The Felpro 1205 intake gaskets included in this kit are a perfect match for many heads on the market. Should your intake sit too low when mounted, then you will require the Felpro 1266 intake gaskets. From what we're seeing, the 1205 intake gaskets work well with most of the intakes on the market. We offer the 1266 gaskets in our other listings. Our NKB heads favor the 1206 intake gaskets. We have them in our other listings. THE TOTAL PRICE WE HAVE ON THESE ITEMS IS MUCH LOWER THAN YOU WILL FIND IF PRICED INDIVIDUALLY. IF IT SEEMS HIGH, IT'S NOT. 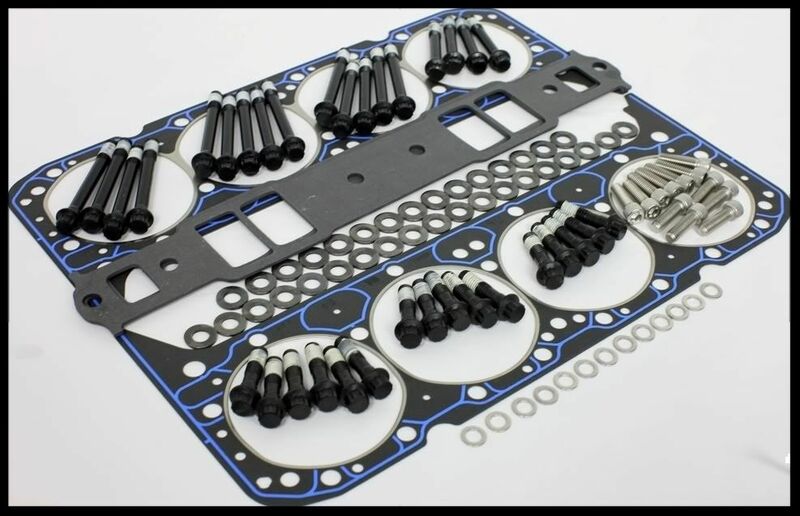 THE HEAD GASKETS ARE FELPRO RACE GRADE GASKETS FOR ALUMINUM HEADS, AND THEY ARE VERY EXPENSIVE. THIS KIT IS ALSO FOR USE WITH CAST IRON HEADS.